Here at University Chevron, we often see exhaust systems in desperate need of service. Often ignored, your exhaust system needs regular service just as much as any other part of your vehicle and ignoring to do so will easily lead to vehicle damage and risk your safety. There are many fumes and gases in your vehicle, many of which are harmful to you but thankfully a working exhaust system takes care of those, so you do not have to worry about them. If your exhaust system cannot do its job, come to University Chevron today. 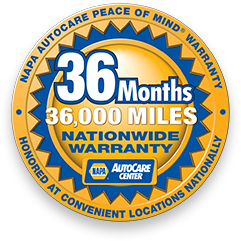 Experience dependable auto service from trained ASE Certified professionals with over 38 years of experience. Call us, stop by, or schedule an appointment online now.